I watched Avengers: Infinity War last night, on it’s release day here in Malaysia. And by all things MCU (Marvel Comic Universe) where do I even begin?! What the heck just happened?? Everyone faded into dust – did they die? REALLY? Me: The ending is distressing!!! All those who disappeared mean they died?? Him: Once the gauntlet is fully powered, just a flick of the finger half of the universe population gone. Me: So just random selected? Me: What did Thanos do at the end? Me: Did u rmbr all the prev characters and storylines? Or did u do some revision before watching just now? Him: And had to bear thru like 10mins of credits to see the end credits only to find more bleak scenes except the marvel logo at the very end. Him: Since it is a 2 part..so next we will get origin story of cpt marvel and how nick fury established another team after going underground. I guess they wanted to have closure for most / half of the characters. Him: Black widow did she fade away? Him: Gotg team only left racoon right? Me: Think so..the lady w antenna? Me: Definitely still around is Iron Man, Hulk, Cap, Okoye.. Him: Im sad a bit that those who manage to leave asgard at the end of thor ragnarok all died. Except thor. When i see loki killed off early in the movie..i somehow knew its gonna start the bodycount. Me: Before watching, so many rumours / questions of which hero will die etc… Figured it would just be 1..not so many.. Him: Did u see the youtube clip i shared this morning where the villains played deadpool? StarLord caused the plan to get the Infinity Gauntlet off Thanos’s hand to fail!!! Urgh! Why didn’t Dr Strange turn back time and prevent everything that happened from happening? Most of our favourite Marvel characters in one movie – YAY! Thor meeting the Guardians for the first time – this was hilarious! So yes, clearly the likes is more than dislikes so of course I enjoyed the movie. EXCEPT. FOR. THE. ENDING. And now we have to wait for a year for Infinity War Part 2! (Release in May 2019). However, I am looking forward to Captain Marvel though… and what that implies for Part 2. Favourite and least favourite part of the movie? 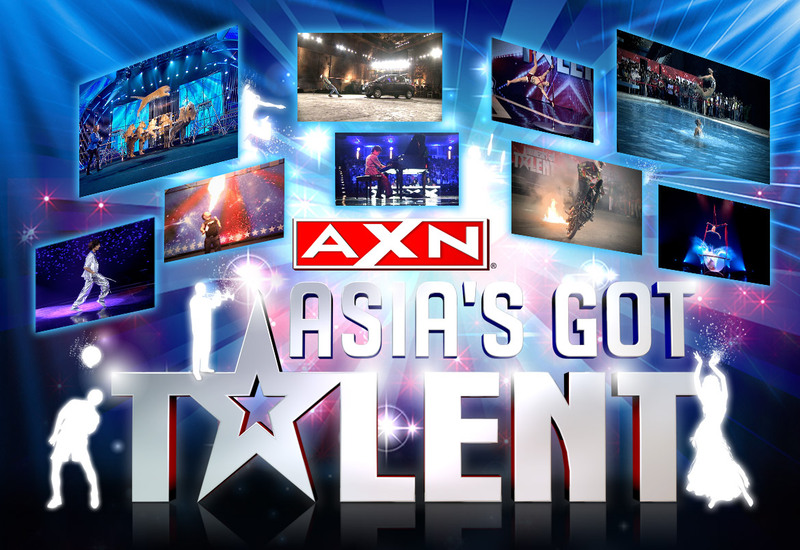 The Asia’s Got Talent (AGT) Result Show last night opened up with an awesome performance from The Finalists. And in between revealing the results, stellar performances by David Foster and Charice, Anggun, Consentino & The Superstar Judges (Melanie C, Van Ness Wu, Anggun and David Foster). Proceeds from the sale of this single will be donated to charitable organizations committed to aiding victims of the earthquake in Nepal. The Final 9 became the Final 6 after it was revealed that Gao Lin & Liu Xin, Gwen Dorado and Dance Thrilogy had the lower votes of the 9. Gao Lin & Liu Xin was, for me, a top contender so I was quite shocked they were out so early. I guess with internet being regulated in China (no Facebook etc), determining the winner via the voting system was their downfall. (I think the same is what happened to Oscar Chu.) Undoubtedly, they are the winners in the Game of Life though as they are left the show engaged. Congratulations and best of luck to the two lovebirds as they dance off into married bliss! Triqstar had always been a favourite (for other favourites, click here) and among the finalists, I decided to vote for them in the Finals, alas it still wasn’t enough to get them through. As for Junior New System, with 4 acts for the Philippines I guess the divided votes was not enough for them. Gambatte Triqstar & I want to see more from you!!! Next to leave the competition was The Talento! Boy is the show full of surprises! Congratulations The Talento for making it to the Final 4 and the youngest act to do so too. #AsiasGotFutureTalent with these boys. And so it stands, the Top 3 for AGT were Khusugtun (Mongolia), Gerphil and El Gamma Penumbra (Philippines) – and Gerphil had the lower number of votes. I was speechless for as I did NOT expect Khusugtun to be so favoured much less be in the Final 2?! I have my reasons for not rooting for them, but I guess it is for that same reason they had an advantage with the winner being determined via votes. (Dear AGT, please screen your contestants next season! It is an UNFAIR playing field when you pit established groups against those unknown talents.) As for Gerphil, she need not worry. Her future is secured by David Foster. You can bet on it! Thankfully, it was EL GAMMA PENUMBRA who were crowned the first Asia’s Got Talent winner!!! From the very beginning, I had appreciated their talent but I did not vote for them in the Finals as I was certain Philippines would not let them down. THANK GOD indeed! So, CONGRATULATIONS EL GAMMA PENUMBRA!!! Hope you use this win as a platform to continue inspiring people and make a change in the world with your beautiful shadow masterpieces! Judges Audition – earned them a Golden Buzzer straight to the Semi-Finals. The Finals – which won them the most votes and the title of being Asia’s Got Talent winner! And this marks the last of my AGT posts, hope you’ve enjoyed the journey as much as I did. The Results Show tomorrow night will reveal the first Asia’s Got Talent (AGT) winner, marking the end of the first season of AGT. This post is to compile those acts that I enjoyed, my personal favourites, but did not make it to the Final 9. Their Judges’ Audition earned them the very first Golden Buzzer of the show securing them to the Semi-Finals. Unfortunately, they lost on votes in the Semi-Finals. Click here to watch their Semi-Finals performance. I loved his BIG voice as soon as he opened his mouth to sing! Unfortunately, he lost on votes in the Semi-Finals. I never knew that skipping ropes could be so cool! But they too lost on votes in the Semi-Finals. This odd duo didn’t get past the Judges’ Audition. He’s funny and she is a great singer. I guess the combo just didn’t work to their favour. My first time to see an Asian ventriloquist act. I had hoped they would have been selected for the Semi-Finals but they didn’t make the Judges’ Cut. He is simply awesome & I was so glad he made it to the Semi-Finals! Unfortunately, he lost on votes in the Semi-Finals. Click here to watch his Semi-Finals performance. She was another talented singer – but I guess not talented enough to make the Judges’ Cut. They really were da bomb! I wondered why they weren’t selected for the Semi-Finals but then again, perhaps after the element of shock/surprise is gone, there’s nothing much left to offer? Guess we’ll never know. Now they should have made it to the Semi-Finals. For me, they were more talented than some of the dance groups that made it to Semi-Finals. Unfortunately, the judges didn’t agree. Oh well. Very personal to me, they are the reason I even started blogging about AGT in the first place. And you can bet I will be keeping a close eye on them here in my blog even after AGT. Eventhough they lost on votes in the Semi-Finals, this isn’t the end of their journey – look at what they’re up to already! Click here to watch their Semi-Finals performance. This guy can really beatbox. I read online that he couldn’t be in the Semi-Finals due to studies. That’s a shame. Oh well, maybe he’ll come back for Season 2. She has class. I really wanted her in the Finals, alas she lost on votes in the Semi-Finals. Click here to watch her Semi-Finals performance. He is talented. Though he should have asked for the golden buzzer, at least he didn’t go home empty-handed! Who were your AGT favourites? For other AGT videos, click here. Sada Borneo at Miri City Day, then off to Kuching! Their time in Asia’s Got Talent (AGT) may have ended… but indeed Sada Borneo’s journey has just started! As soon as we find out who among the Finalists will be crowned the first AGT winner this May 14th, Sada Borneo is already scheduled to perform in Miri, Sarawak, Borneo, Malaysia on May 16th!!! They will be performing at the Miri City Day 10th Anniversary Concert on 16th May 2015. And then, just 3 weeks later, on June 5th, they are scheduled to perform in Kuching, Sarawak, Borneo, Malaysia!!! At this rate, we’ll soon lose track of the boys’ whereabouts so do follow their official Facebook Page: Sada Borneo for updates on future performances/shows/etc! Looking forward to more chances to catch them LIVE!! !